As you know I love a brand with a story and even more so when the founder of a brand has the credentials to back up their claims. Founder of DermaNutri Nutritionist Mel Turkerman is just that woman, you only have to do a quick google search to read testimonials from people she has helped. 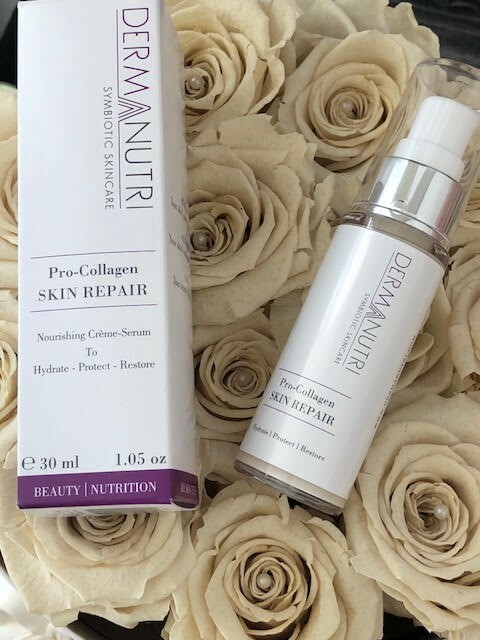 DermaNutri is not just a range of skincare with no meaning, it's a symbiotic relationship between skincare and nutrition, when you purchase DermaNutri you are provided with a free skin repair plan which provides a truly symbiotic partnership with beauty and wellbeing. This lightweight serum contains ingredients from New Zealand famed for it's crystal clear mountain waters, lush clean greenness and a nuclear free policy. Nutrient dense mango seed and avocado butter. Mineral rich hydrating seaweed blend. Combined these ingredients nourish the skin and aid in the production of collagen, ensuring firmness and moisture, the formula absorbs easily is perfect under makeup without a primer, or under your daily SFP for a barefaced fresh natural look. 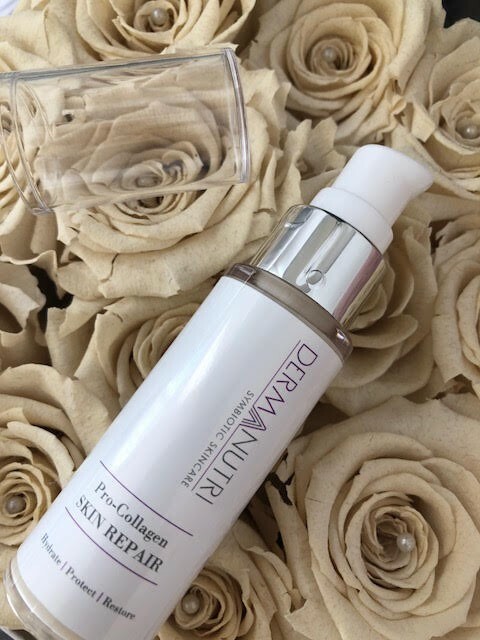 A little goes a long long way with this serum, so two small pumps will deliver all you need for face, neck and decolletage. Having tried it out I can totally see why it was the Editors Choice Winner in the 2018 Beauty Shortlist Awards. I only use this in the mornings as it's a perfect 3 in one serum, moisturiser and primer. Don't you love it when a product is multi-tasking?